A reimagining of Nocturn, where he sought redemption in his imprisonment. Image links to the gallery which should have complete photos by the end of the week. So I've been thinking about why I didn't really Moc all too much in 2017, and I think I figured out why. I was building for others, and not for myself. I do not mean this in a literal sense, but that when I went to build I was always trying to build to meet some standard I imposed upon myself based on those around me. I wasn't building what I truly wanted to build, but I was building to try and compare to the other MOCist's around me. If a moc didn't have a custom torso of some kind, it wasn't worth building was the mindset I'd worked myself into. I think this is why all motivation to build in 2017 kind of went out the window. I wasn't enjoying building. Now this isn't to say I'm suddenly going to be building only generic HF frame mocs, but if I have a simple concept in my mind, I'm not going to throw it out simply because it's "Simple". I'm going to build what I enjoy. Also this isn't in anyway blaming anyone else. I solely worked myself into the mindset I did, I felt I had to build like so many of the popular builders, even if it was only a fraction of a fraction of what their builds are like. So yeah, going forward, I might put out more lesser quality mocs, but at least I'll be enjoying it, and hopefully enjoying Moccing will in turn provide more motivation to build more complex mocs. Sockets or Balls? Or heck Axles? Serious question... 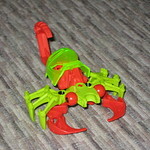 Which version of bionicle heads did you enjoy/find more useful? The 2001-2003 heads, the 2004-2008 heads, or the 2009-2016 heads? Mind you, the glatorian, HF, Brain attack and okotan heads are all very similar in my opinion hence why I am clumping them together. I personally will always prefer the 2004-2008 heads as I felt they were a bit more versatile. You ever have a moment where you spend a good minute or two in silence, trying to remember where a certain piece is? I've had those alot lately, the most recent one was me trying to remember where a Trans-Neon Green head was, particularly which moc or model was using it. Sat there for a good 3 minutes in silence, trying to mentally go through my mocs and remember. Yet I feel no regret for my sins. So I and this group of guys were fighting the nameless king, as it was my third playthrough, on that character at least, and honor in boss fights had been thrown out the window during the second playthrough. Well just as we finished off the nameless king... well something amazing and magical happened. Here is a video of the actual event, as Sasriel, the flying player, did eventually come back to earth. So now that I've basically played through Moon, at least up to right before the Elite Four, taking my sweet time, I wanted to address my biggest complaint about Sun and Moon, and really my only complaint. WHY NO LUNATONE AND SOLROCK!!! Really, given the names of the game, and the significance of space, why exclude the two pokemon that are literally sun and moon pokemon? I mean I was really hoping the two might have some story significance, because sun and moon, but nope nothing. Then I was hoping they would be included in the regional pokedex as version exclusives... nope. It just seems like such a wasted chance. I mean Minior seems like it would be a somewhat decent pre-evolution for the two even, with what they evolve in dependant upon which version you are playing, much like the mascot legendaries. *Sighs* Just so disappointed about what could have been. Also I wish a certain returning "Villian" played a bigger role than he does. If you've played through it you know who I am talking about, or should. So towards the start of November, I had commissioned an artist, by the name of NikkyDash, may know her from her Ruby Nuzlocke Comic she does. Nonetheless been wanting to get a commission of Seymour done for awhile. For those who don't know, Seymour is an Alakazam that was part of my first "Truly" competitive team, when I started taking competitive battling seriously. He was dubbed the "Dragon Killer" as I had him know the move dazzling gleam which was able to usually one shot most dragon types, especially when mega evolved. I eventually retired him in favor of his "Son" Synclaire, whom I bred to have six IVs. But given Seymour's importance to me I wanted to do something with him. Also the trainer is what I would imagine I'd look like as a trainer in Pokemon, though it is a fairly close representation of what I look like in real life, though the beards a bit fuller than I can attain. *Sighs as he wishes he had his "Dream Beard"* So yeah just wanted to share this here. Also should you be in the market for a commission, Nikkydash is quite affordable, with this only running me $25, though it would have been $15 but she charges $10 for each additional character. So I consider that affordable. So... Apparently Gali's "Crystal" armor and Terak's "Crystal" armor glow very, very faintly under blacklight, at least the transparent parts. 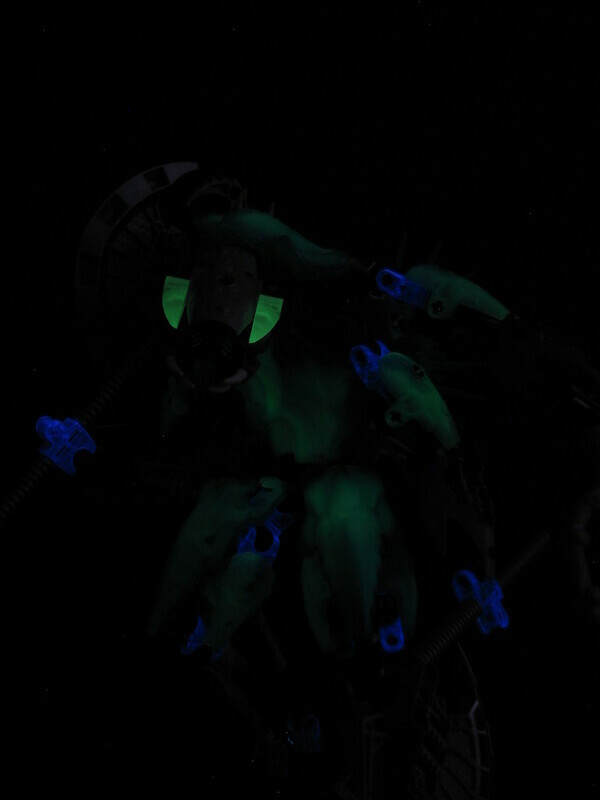 I noticed this while doing one of my blacklight appreciation moments, since I very rarely have my blacklight on, and I noticed that my kopaka moc's crystal armor was glowing, which was actually Gali's armor. I mean it's not glowing incredibly and one could easily believe it is a trick of the light, but when compared to Kopaka's golden unity mask, it definitely was glowing. Wonder what they did differently with the crystal armor add-ons? Nikon or Canon: Which to buy? So I am planning on taking a somewhat freelance class that a person is offering in photography, and a scholarship I have is able to cover the costs of the class, which includes having to get a DSLR Camera... The director of the class is only allowing Canon or Nikon Cameras, and wants at least a 55mm lens attachment... Odd limitations but not gonna argue. Now I've never bought a DSLR camera, nor can I say I ever really have looked at buying them. As such I'm hoping those who might frequent my blog or see this might be able to help me choose which is the better option of the two?